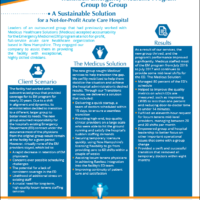 A group out of New York managing 20 Hospital Medicine and ED contracts required a strategic partner to grow their portfolio of business and attract and retain physicians to fully staff their expansion. 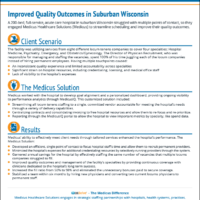 A 200-bed, full-service, acute care hospital in suburban Wisconsin struggled with multiple points of contact, so they engaged Medicus Healthcare Solutions (Medicus) to streamline scheduling and improve their quality outcomes. 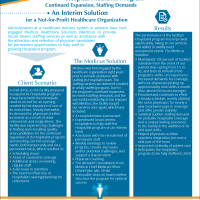 Leaders of an outsourced group that had previously worked with Medicus Healthcare Solutions (Medicus) accepted accountability for the Emergency Medicine (EM) program at a not-for-profit, full-service acute care healthcare organization based in New Hampshire. 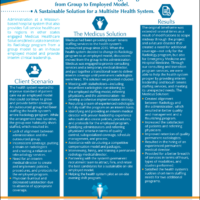 They engaged our company to assist them in providing the facility with exceptional, highly skilled clinicians. 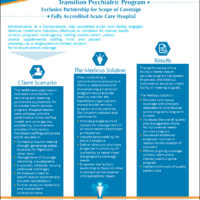 Administration at a Florida-based, fully accredited acute care facility engaged Medicus Healthcare Solutions (Medicus) to transition its mental health services program’s multi-agency staffing model—which utilized several supplemental staffing firms and proved unwieldy—to a single-point-of-contact solution for its locum tenens coverage. 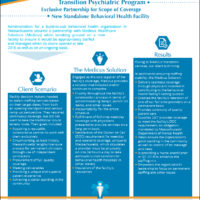 Administration for a build-to-suit behavioral health organization in Massachusetts secured a partnership with Medicus Healthcare Solutions (Medicus) while breaking ground on a new facility to ensure it would be appropriately staffed and managed when its doors opened in late 2016 as well as on an ongoing basis. 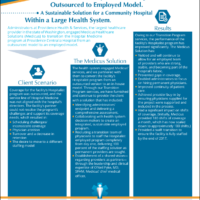 Administration at a non-profit health system in the state of Indiana engaged Medicus Healthcare Solutions (Medicus) to transition its Emergency Medicine program from an outsourced model to an in-house program. 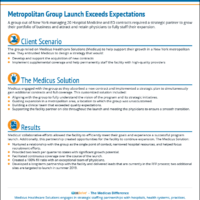 Medicus was engaged to transition the Radiology Program at a multisite health system from a group to employed model. 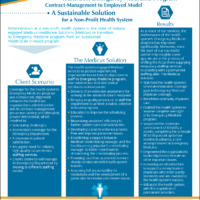 Medicus was engaged to transition the Hospital Medicine Program at Providence Centralia Hospital from an outsourced to employed model. 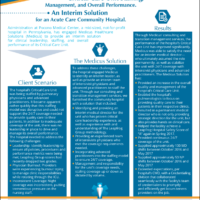 Critical Care Unit Staffing, Management and Overall Performance for an Acute Care Community Hospital.